Once again, Legislative Day 2019 will be a day filled with networking, meetings with your state legislators, lively industry related Hot Topic discussions and much, much more!!! Legislative Day gives California REALTORS® the opportunity to meet and discuss real estate issues directly with their state legislators and staff. Attending Legislative Day is not only a great investment in your business, it also provides you with an opportunity to hear from California's most dynamic political leaders and the leadership of your state association. Meeting starts at 9:00 a.m. . . . Tour of Homes/Caravan to follow . . . be sure to join us! Discussing issues impacting our local industry . . . Too, members may market that specific property through Caravan/Tour of Homes . . . meeting starts at 9:00 a.m.! BE SURE TO JOIN US!!! The Shasta Association of REALTORS® (“Association”) is once again joining forces with the National Association of REALTORS® (“N.A.R.”) to promote REALTOR® Safety, and with September designated as REALTOR® Safety Month, the Association proudly presents the Shasta County District Attorney’s Office, Real Estate Fraud Unit, as our special guest speaker. You won’t want to miss this informational and entertaining presentation . . . Meeting begins at 9:00 a.m. and Caravan/Tour of Homes will follow . . . Please mark your calendar to join us along with your colleagues! SAVE THE DATE FOR TEE TIME!!! 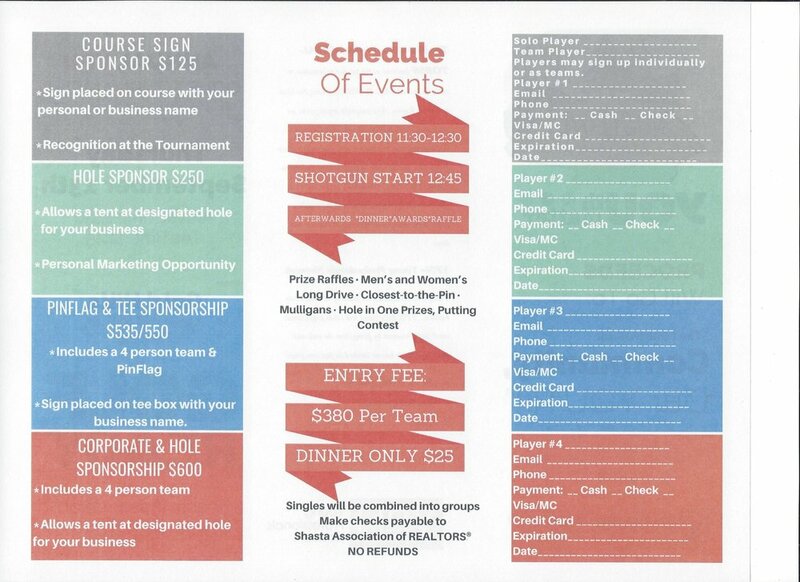 The Shasta Association of REALTORS® Young Professionals Network will once again hosting its Annual Golf Tournament at Gold Hills Golf Club in its continued effort to raise monies to support local youth groups. Stay tuned for information on registration, raffle donations, and/or sponsorship opportunities! Thursday, October 24, 2019 at Record Range in Redding, California. CARR Wildfire on our community. 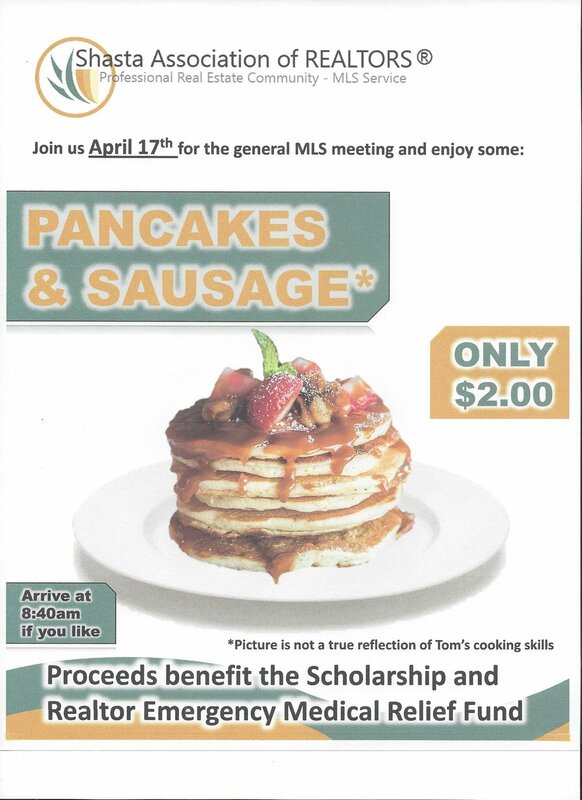 Too, the Social Committee will be serving up hotcakes and sausage for only $2.00 per person and the Affiliates Council will host a 50/50 drawing . . . Caravan/Tour of Homes to follow . . . Meeting starts at 9:00 a.m. at the Association office. Tickets available at the Association office. Meeting will start at 9:00 a.m. with Caravan/Tour of Homes to follow . . . please mark your calendar to join us! as our special guest speaker. You won’t want to miss this informational presentation detailing their Center of Hope project . . . Please join us at 9:00 a.m. with Caravan/Tour of Homes to follow . . . mark your calendar now! 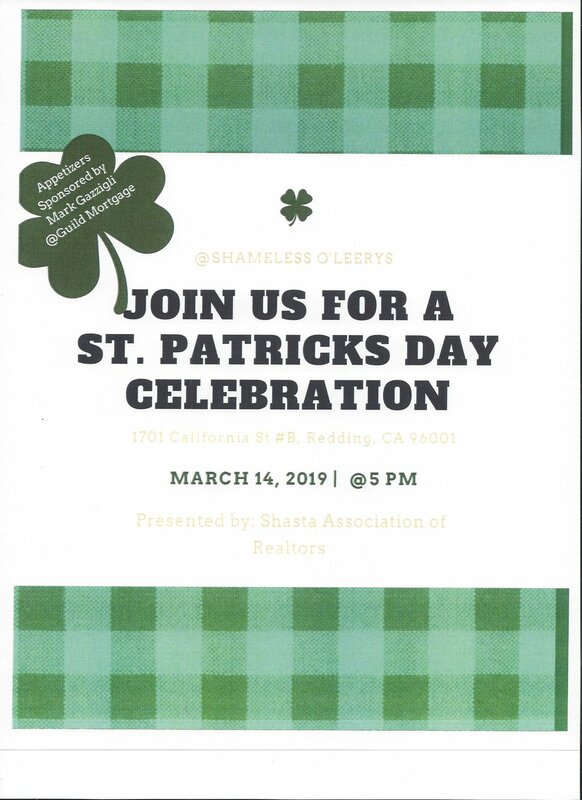 The Shasta Association of REALTORS® (“Association”) is proud to present a Professional Standards/Ethics training course featuring Attorney, Dave Tanner, on Thursday, March 14, 2019. This course is mandatory for those members who participate on the Grievance and/or Professional Standards Committees only, and attendance is highly recommended for the Officers and Directors of the Association, as well. Click below to register to attend and of course, should you have questions, please contact the Association office. as our special guest speaker. Please join us for this informational presentation addressing the Downtown Redding project and more . . . Meeting will start at 9:00 a.m. with Caravan/Tour of Homes to follow . . . see you then! 4th Annual Senior and Veteran Fraud Prevention Fair. This event will highlight the importance of protecting our community and a number of local vendors and/or resources will be participating. Mark your calendar to attend and meet the District Attorney’s Fraud Protection Team . . . too, stop by the Association booth to say “Hi!” and show your support! 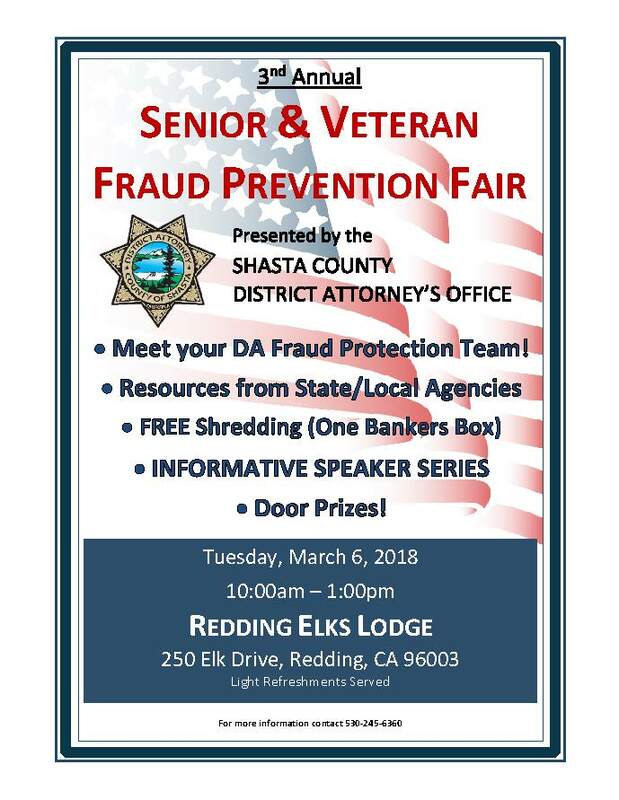 Event hours are 10:00 a.m. – 1:00 p.m. on Tuesday, March 5, 2018, at the Redding Elks Lodge . . . For more information, contact the Association office. Meeting starts at 9:00 a.m. . . .Caravan Poker Run to follow . . . be sure to join us! The Shasta Association of REALTORS® (“Association”) is proud to present a Professional Standards/Ethics training course featuring Attorney, Dave Tanner, on Thursday, February 14, 2019. Too, WinRiver has a block of 10 deluxe king rooms on a first come, first serve basis at a discounted rate of $109/night through December 31st… just let them know you are attending the “Shasta Association of REALTORS® Black & White Ball” to receive the special rate. Contact a Social Committee member or Association office for more information…get your tickets TODAY!!! Congratulations on your real estate license and becoming part of America’s largest trade association, the National Association of REALTORS® (“NAR”)! Now it is important to familiarize yourself with the mandatory NAR professional standards and benefits of being a REALTOR® member. Therefore, ALL new members are required to attend this half day course on Friday, December 7, 2018, chaired by Director, Greg Lloyd and held at the Association office. Please contact the Association office for registration, confirmation of attendance, and/or questions, and again, your attendance is vital to assure a successful career in real estate. 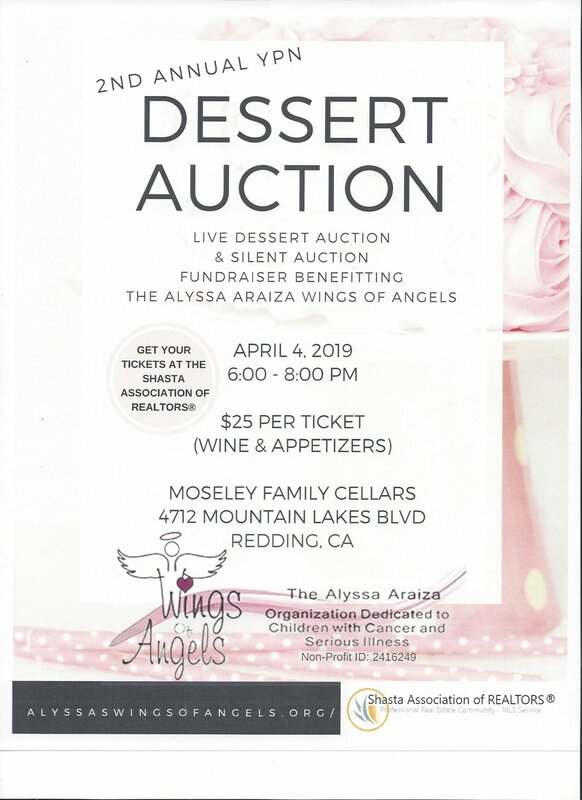 FOR TICKETS, CONTACT CHRISTINE SPRINGER (530) 227-0446 OR ELENA MAREADY (530) 917-4761. 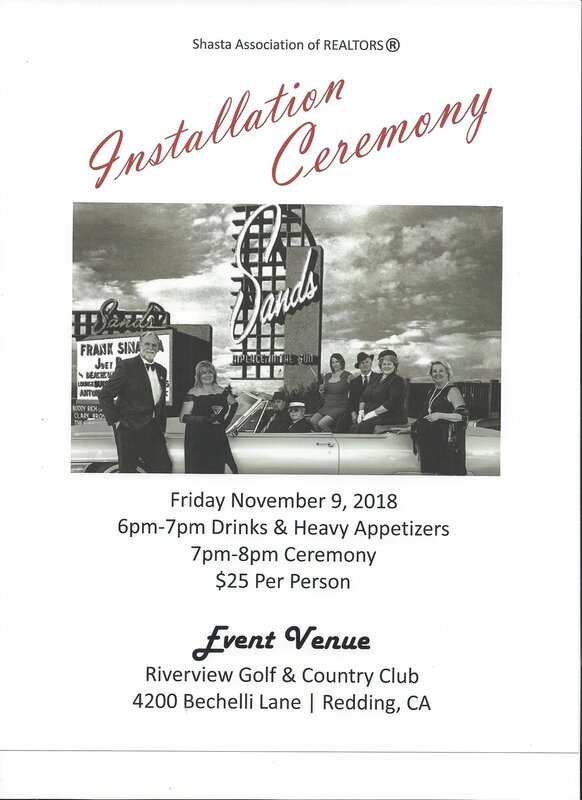 The inauguration of the 2019 Officers and Directors is scheduled for Friday, November 9, 2018, and will be held at Riverview Country Club in Redding. 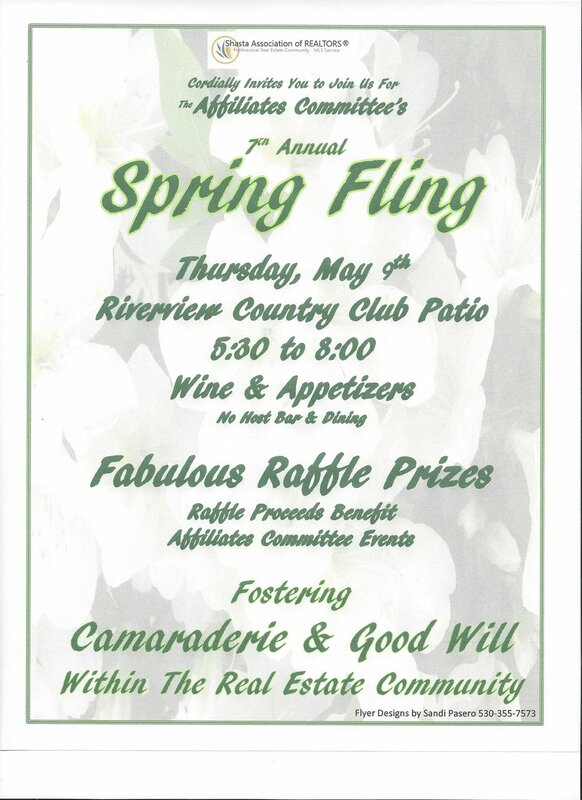 This annual celebration includes presentation of awards in recognition of REALTOR® of the Year and Affiliate of the Year, so please mark your calendars to join us. Tickets on sale NOW at the Association office!!! Reporting on the latest legal updates direct from the California Association of REALTORS®. With the holiday season approaching, the Shasta Association of REALTORS® (“Association”) is once again proudly sponsoring the Annual Christmas Decorating Contest. Check back later for a complete list of contestant addresses and the exciting results! Don’t miss your chance to enter . . . Click here for registration form & official rules . . . may the best chili win!!! The Shasta Association of REALTORS® Young Professionals Network is proudly hosting its 7th Annual Golf Tournament at Gold Hills Golf Club in its continued effort to raise monies to support local youth groups. For information on registration, raffle donations, and/or sponsorship contact a YPN member today! The Shasta Association of REALTORS® (Association) is holding an Affordable Housing Forum on Friday, October 5, 2018, at 10:00 A.M. The purpose of the forum is to discuss affordable housing issues and solutions for the housing market in Shasta County. Representatives from the City of Redding, City of Anderson, City of Shasta Lake, as well, Shasta County will be part of this brainstorming session. The forum will held in the conference room of the Association, moderated by Kent Dagg, Government Affairs Director, and will focus on a two-hour comment, question and answer format. Please plan on attending this very important conference. With 2018 an Election year, it is critical for you as REALTOR® members to not only assure you are registered to vote, but protect your community and livelihood by educating yourself about the issues and candidates which support how you live, work, and play. As such, the Shasta Association of REALTORS® and Legislative Committee are proudly hosting a 2018 Candidates’ Forum for the vacancies for Shasta County Board of Supervisors. A panel of members will address the official candidates to determine who will best serve the interests of your industry while responsibly promoting growth and safety for all citizens. WHEN: General Membership Meeting, Wednesday, October 3, 2018, commencing at 9:00 a.m.
For more information, contact the Association office, and remember to vote! ALOHA Bowling Night 2018 - 3rd Time's a Charm!